The people too have to be pitied, rather than condemned. They do not know; they have no patience to judge aright. They are too full of lust, anger and conceit to see clearly and know fully. So they write all manner of things. If they only knew, they would not talk or write like that. We, too, should not attach any value to such comments and take them to heart as you seem to do. Truth will certainly triumph some day. Untruth can never win. Untruth might appear to overpower truth. but its victory will fade away and truth will establish itself. It is not the way of the great to swell when people offer worship. and shrink when people scoff. As a matter of fact, no sacred text lays down rules to regulate the lives of the great, prescribing the habits and attitudes they must adopt. They themselves know the path they must tread; their wisdom regulates and makes their acts holy. Self-reliance, beneficial activity-these two are their special marks. They may also be engaged in the promotion of the welfare of devotees and in allotting them the fruits of their actions. Why should you be affected by doubt and worry, so long as I am adhering to these two? After all, the praise and blame of the populace do not touch the Atma, the reality; they can touch only the outer physical frame. I have a ‘Task’: to foster all mankind and ensure for all of them lives full of Ananda. I have a ‘Vow’: to lead all who stray away from the straight path back again into goodness and save them. I am attached to a ‘Work’ that I love: to remove the sufferings of the poor and grant them what they lack. I have a ‘reason to be proud,’ for I rescue all who worship and adore Me aright. I have My definition of ‘devotion’ I expect: that those devoted to Me have to treat joy and grief, gain and loss, with equal fortitude. This means I will never give up those who attach themselves to Me. When I am thus engaged in My beneficial task, how can My Name be tarnished, as you apprehend? I would advise you not to heed such absurd talk. Mahatmas do not acquire greatness through someone calling them so; they do not become small when someone calls them small. 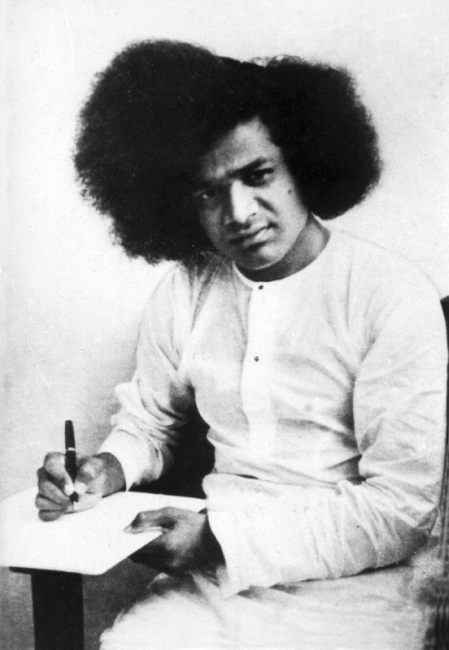 Only those low ones who revel in opium and ganja but claim to be unexcelled yogis, only those who quote scriptural texts to justify their gourmandry and pride, only those who are dry-as-dust scholars exulting in their casuistry and argumentative skills, are moved by praise or blame. You must have read life-stories of saints and divine personages; in these books you must have read of even worse falsehoods and more heinous imputations cast against them. This is the lot of Mahatmas everywhere, at all times. Why then do you take these things so much to heart? Have you not heard of dogs that howl at the stars? How long can they go on? Authenticity will soon win. I will not give up My Mission nor My determination. I know I will carry them out; I treat the honour and dishonour, the fame and blame that may be the consequence with equal equanimity. Internally, I am unconcerned. I act but in the outer world; I talk and move about for the sake of the outer world and for announcing My coming to the people, else I have no concern even with these. I do not belong to any place; I am not attached to any name. I have no “Mine” or “Thine,” I answer whatever the name you use. I go, wherever I am taken. This is My very first Vow. I have not disclosed this to anyone so far. For me the world is something afar, apart. I act and move only for the sake of mankind. No one can comprehend My Glory, whoever he is, whatever his method of inquiry, however long is his attempt.